If you are feeling a little bit Christmasy, why not serve this delicious soup as your entree. The colours compliment the theme of Christmas and the taste is absolutely superb. 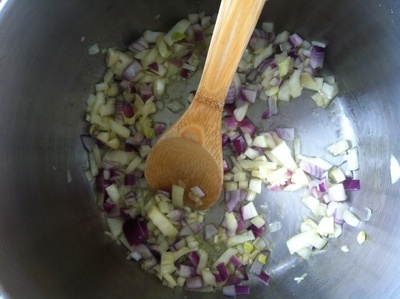 This is a very easy soup to make that relies on fresh ingredients. 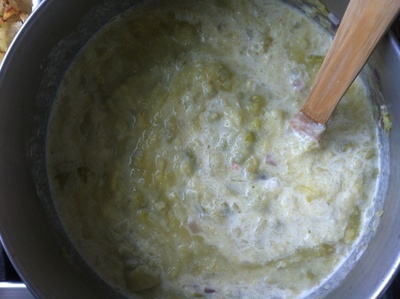 I had a massive batch of green snake zucchini's that I didn't know what to do with, so I turned them into soup. 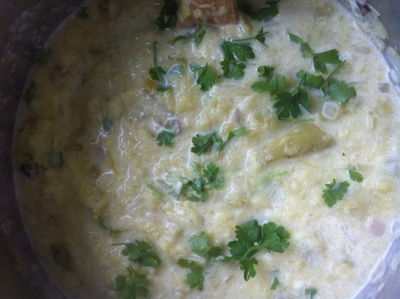 The soup turned out amazing and it is something I will make again and again. 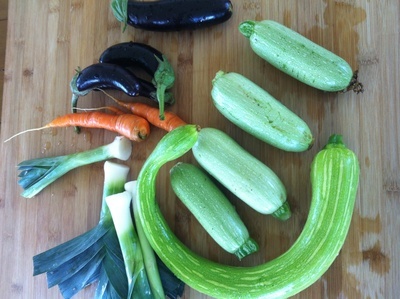 I will also grow these specific zucchini's, just to make this amazing soup. The flavours are subtle and soft, and the soup smooth and delicious. There is absolutely nothing I can fault with this soup. With the festive season around the corner, this is the sort of soup that is good in both summer and winter (you can freeze it, as I am freezing huge batches of it for the winter) as it will keep you warm and also doesn't have to be served boiling hot. It is so easy to make and will keep for days in the fridge. You can use green zucchini's if you don't have the white zucchini's. 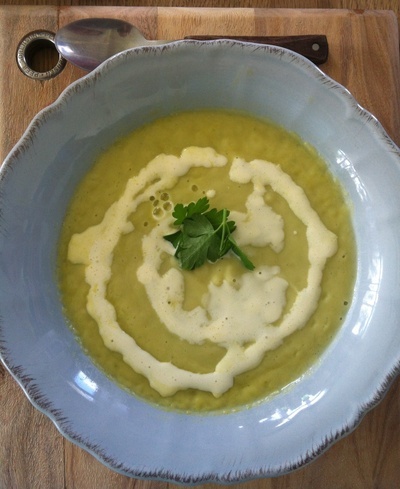 8 large zucchini's (I use snake zucchini's from the garden which break down slower and have a very beautiful flavour) But you can use white zucchini as they are much better for this soup than the usual green. 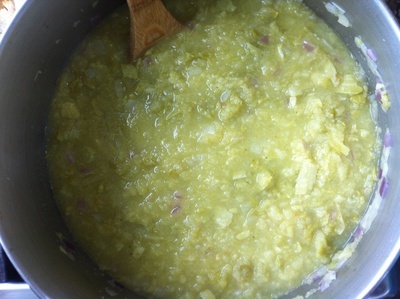 Boil the zucchini until soft and drain. Fry up onion and garlic on extra virgin olive oil. Add the zucchini's and mash with a masher. Add the stock and 2 cup full's of water (don't add too much water as the soup is supposed to be thick). Judge by the amount of zucchini you have as to how watery you want to make it. Bring to boil and add the cream. 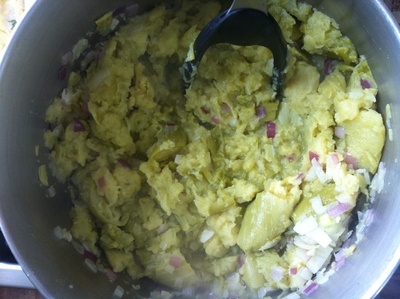 Stir together until well combined and it has turned a light green. Take off the heat and leave to cool. 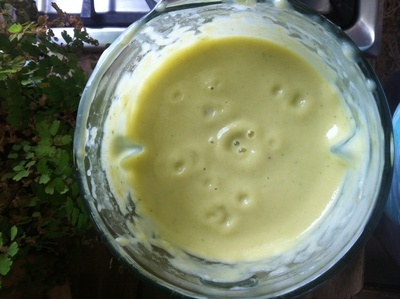 Place in a blender and blend until completely smooth. Serve up with hot crusty bread. Hint: Pictured below is the snake zucchini. 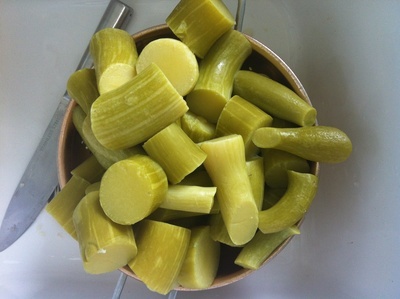 These snake zucchini's are far better than other zucchini's but they don't often sell them in supermarkets. If you have the space and the time, grow your own. You won't be disappointed with their flavour and their texture because they do not fall apart and need to be gently mashed. This makes the soup thicken very quickly.